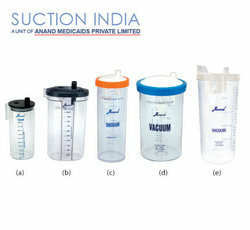 Suction India (A Division of Anand Medicaids Pvt. Ltd.) is a sterling organization engaged in the manufacturing business of superior quality and high performance surgical suction units, in India. With an extensive experience of 35 years in this industry we have cemented our foothold in the Indian market place by focusing on new product development and innovation in our range of products. The Company has a well-qualified, trained production & quality control staff. Our passion for excellence and quality is industry's benchmark and a reason for our overwhelming success around the world. Our familiarization with technological marvels and professionalism has helped us in manufacturing innovative surgical suction units. Our Suction Apparatus are widely accepted by surgical dealers, leading hospitals and medical professionals.